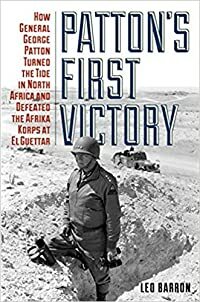 American troops invaded North Africa in November 1942, but did not face serious resistance until the following February, when they finally tangled with Rommel's Afrika Korps--and the Germans gave the inexperienced Americans a nasty drubbing at Kasserine Pass. After this disaster, Gen. George Patton took command and reinvigorated U.S. troops with tough training and new tactics. In late March, at El Guettar in Tunisia, Patton's men defeated the Germans. It was a morale-boosting victory--the first American success versus the Germans and the first of Patton's storied World War II career--and proved to the enemy, the British, and the Americans themselves that the U.S. Army could fight and win.